Buying a home is a big investment and a big commitment. 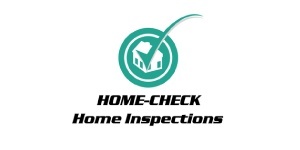 HOME CHECK HOME INSPECTIONS will provide a thorough evaluation of your new home so you have the information you need to make an informed decision. Based on our inspection, we will identify problems, recommend repairs and maintenance and provide a report that is easy to understand and follow. We encourage you to accompany us on the inspection, and get a first hand view of any issue we may find. We explain he the home works and how to maintain it. We inspect Urban and Rural, whether it be a mansion or an apartment condo. We can do specific element, problem solving, pre-sale, pre-list inspections. WE INSPECT THE HOME IN ACCORDANCE WITH THE STANDARDS SET OUT BY THE CANADIAN ASSOCIATION OF HOME AND PROPERTY INSPECTORS [CAHPI]. Our reports are full of pictures with descriptive, informative, useful information. We e-mail you the report the same day so you can print it off if you wish or access it from any computer at any time.Our Inspections are reasonably proceed and we believe a valuable investment. Have been a General Contractor, Builder and Renovator with training and hands-on experience in all facets of construction from cribbing right to roofing. Trained in air sealing, insulating HRV installation, UFFI removal through the previous CHIP and UFFI removal programs.